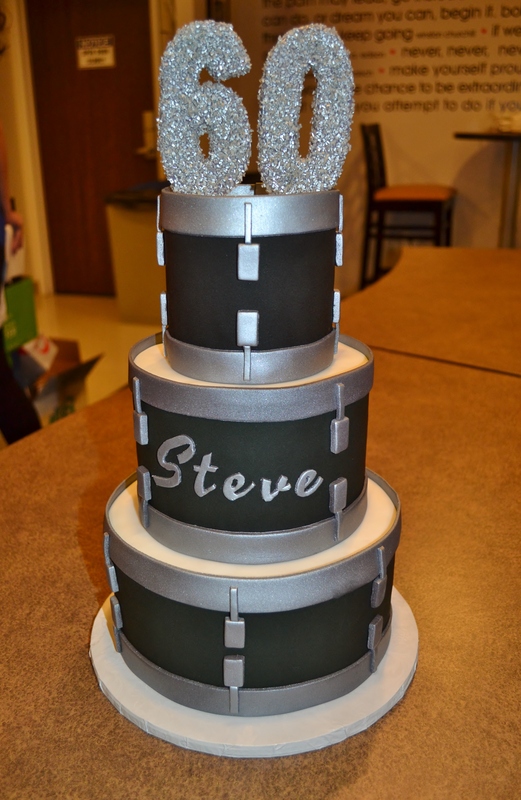 My client for this cake was really into drums, so I created a cake of 3 stacked drums. Because it was for a 60th birthday, I thought that black and silver were the best colors for the cake. Of course, the colors can be changed which will give a totally different feel for the cake and allow it to be customized to any age group.